Choose your light choice: - WARM WHITE ONLY: Standard warm white light only. or - RGB: The RGB light comes with a remote control which can be used to select from 16 different colours including reds, yellows, greens, blues, purples and pinks. You can set the light to one particular colour only or you can set the light to fade through the range of colours. The remote can also be used to dim the light up and down. Please note: as different fonts/motifs vary in size, we will contact you if your advised configuration will not fit on your light and discuss options with you. 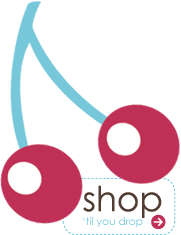 100% locally designed, handcrafted and made in South Australia. 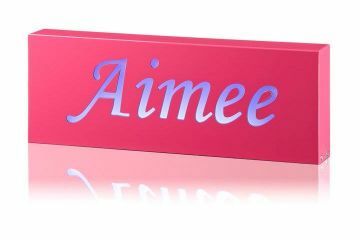 Constructed of an aluminium composite casing which is router cut with your chosen names or words, font and colours. From start to finish, each light is individually handcrafted, and special attention is paid to the quality of workmanship. The interior light is an LED strip specifically selected for its energy efficiency. LED lights have a working life of 50 000 hours, which not only makes it great value, but makes it friendly to the environment as well. A fantastic children's night light. By providing a small amount of ambient light, your light is suitable for night time feeds and nappy changes. In later years it is a perfect children's night light and will provide comfort to toddlers or children who may be frightened of the dark. A great piece of décor for any child's room. Not only does the night light look fantastic, but it also encourages children with name recognition. An unusual gift idea, excellent for baby shower gifts or even as a gift for birthdays and Christmas. A striking bar, shed or games room novelty item. PARCEL SIZE: Medium DELIVERY: Usually ships within 5 - 10 working days from processing your order. Plus please allow the appropriate postal delivery time for your area. Need it faster? Order a Gift Certificate.